We’ve been hearing whispers for months now that Panasonic is set to abandon the plasma TV business as it struggles to realign itself in the face of multi-billion pound loses over the last few years. With the company faltering amid the global recession and the consequent decline in sales of display panel technology, it’s been forced into making some drastic measures, laying off thousands of staff and closing a number of its manufacturing facilities. Now, the company has finally confirmed its intention to shift away from the plasma TV market, saying that it’ll no longer be putting any resources into plasma technology R&D – news that will be met with huge disappointment from the legions of plasma TV fanatics in the UK, the vast majority of whom agree that no one does plasma quite like Panasonic. Speaking to The Verge earlier today, Panasonic Display Vice President Kiyoshi Okamoto confirmed that its new ZT60 Smart TV will be the last plasma model to come from its research and development division. Okamoto did stress however the distinction between development and production of TVs. He said that while R&D has been brought to an end, the company will continue to produce and sell its latest range of plasma TVs until 2014 at the earliest. 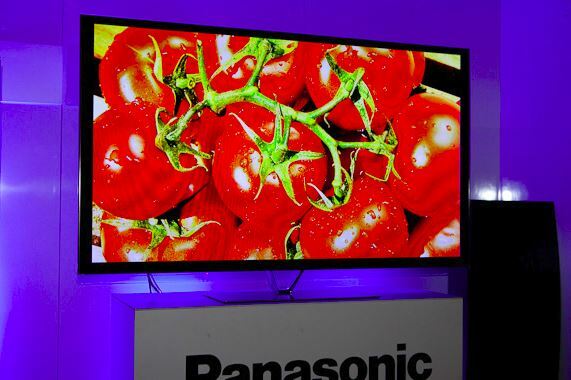 So what does the future hold for Panasonic’s TV business? And, more importantly, would a change of fortunes see it reverse its decision? Unfortunately, that’s unlikely to happen, although every cloud has a silver lining, and Okamoto revealed that Panasonic is instead looking to the development of OLED, a display technology that many believe will even surpass plasma display in terms of image quality. Until now, we’ve seen little from Panasonic in the OLED department, with the exception of a prototype model that surfaced at CES last January. This model was developed in partnership with Sony, and it’s likely that at least some of Panasonic’s plasma engineers will now be shifted to this project. It may be some time before we see any Panasonic OLEDs hit the stores though. Okamoto admits that due to the company’s precarious finances at the moment, it’s unable to go ahead with OLED production until it can be “absolutely sure” the venture will be profitable. Of course, OLED production has proven to be notoriously difficult, with both Samsung and LG struggling to overcome poor manufacturing yield rates, which is one of the chief reasons why the technology is so expensive. Meanwhile, for plasma TVs, it looks as if we’re edging ever closer to the day when the industry finally pulls the plug on what once promised to be the most revolutionary display technology of our time. For a variety of reasons that never quite happened, though it certainly had a profound effect on thousands of TV connoisseurs across the world who swear that plasma TVs are superior to anything else available.